The vessel Hoegh Osaka is stable on Aplha Anchorage as salvage operations are ongoing, the U.K Maritime and Coastguard Agency (MCA) reported. The list vessel’s had been reduced to 25 degrees as of 10:30 a.m. this morning, and all water has been removed from the car decks. 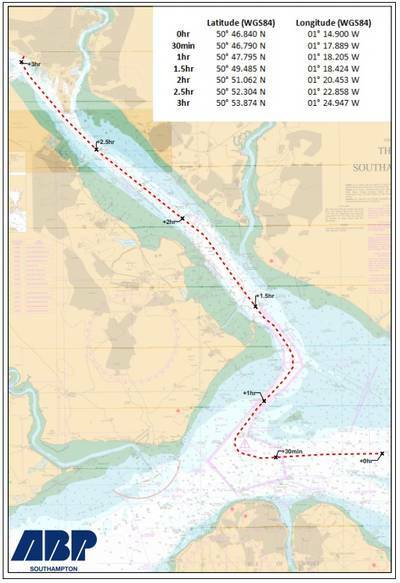 MCA anticipates that ballast operations will further reduce the list to 15-20 degrees today, at which point Marine Accident Investigation Branch (MAIB) investigators will board the ship to gather information for their investigation. A skeleton ship’s crew will also board the ship in preparation for its move back to Southampton Port. An exact time has not been determined for the ship to move from Alpha Anchorage to Southampton Port, as the move will be dependent on the status of the ship’s stability and systems starting up successfully, as well as time of tide, wave and weather conditions, MCA explained. The journey is expected to take four hours. Four tugs will help bring the ship in and the salvor will be assisted by two pilots and the ship's master. Salvors will remain in charge of the ship until it is safely alongside. During the towing operation to bring the Hoegh Osaka in to Southampton Port, a Restricted Airspace (Temporary) (RAT) will be placed 1 mile either side of the navigation route and up to 2,000 ft. This is designed to provide essential safety during the towing operation.